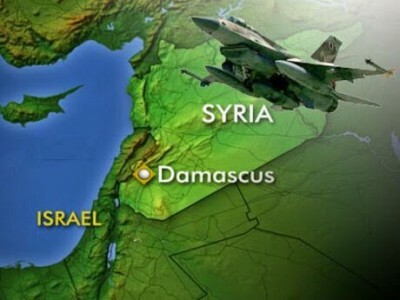 On Sunday December 7, Israel reportedly launched airstrikes inside Syria yet again, this time very close to Damascus in the area near Damascus International airport. Israeli airstrikes also took place in the town of Dimas which is located close to the Lebanese border. While airstrikes are conducted under the guise of defeating ISIS, the fact is that these airstrikes have done little to even inconvenience the terrorist organization which itself is funded, directed, trained, armed, and controlled by the U.S., NATO, and the GCC. The airstrikes have been largely aimed at Syrian military interests as well as necessities of the Syrian people. The attacks come as the Western-backed forces of the Islamic State launched a major assault on the Syrian air base in Deir el-Zour. That attack was ultimately repelled and defeated by the Syrian army. This is by no means the first time that Israel has attacked Syria in support of the Western-backed terrorists or even the first time that it has done so in coordination with them. For instance, on October 30, 2013, Israel attacked and completely destroyed a Syrian air defense base in Snobar Jableh, Syria which is located near Latakia, a port city on the coast of the Mediterranean. The base was alleged to have housed a surface-to-air missile battery. It is also known that Israel launched attacks against Syrian forces and military convoys at least four times prior to the October 30 attack. As recently as June, 2014, Israel launched a series of airstrikes against Syrian military positions under the pretext of retaliation for a cross-border attack which was almost certainly initiated by death squad fighters whose logistical inadequacy spilled over into Israeli occupied territory in the Golan Heights. Given the questionable circumstances surrounding the justifying incident – the killing of an Israeli teenager by an alleged anti-tank missile – one would be justified in questioning the Israeli story. Some have speculated that Israel’s continued incursions into Syrian territory is not only an attempt to weaken the military forces of the Syrian government and support the terrorists operating inside the country but to cause Syria’s air defense system to light up and give away its concealed positions. Regardless, Israel has once again demonstrated how it is, in reality, the most volatile state in the Middle East despite its claims to the contrary.